Before taking an in-depth look at the topic of the day – Kwara State NYSC camp pictures, Location, and Experience. 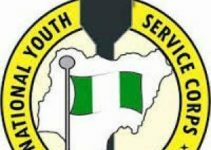 What is NYSC? It stands for National Youth Service Corps. This government organization was set up in order to bring about an avenue in which graduates in the country would be actively involved in the country’s development. This initiative began 22nd of May in the year 1973 and since that fateful year, graduates produced from universities and polytechnics all over the country of Nigeria, have been required to serve the country, upon their graduation, for a duration of one year. The first Director-General of this government organization was Ahmadu Ali, who served from its inception until the year 1975. As of now, the current Director-General is known as Brig. Gen. Sule Zakari Kazuare. NYSC began after the civil war because aside from being a means via which graduates could serve their fatherland for one year and take part in its development, it was also a means for reconciliation between warring tribes and ethnicities as well as for reconstruction and rebuilding of what was left of the nation after the war. Despite the fact that it is a mandatory service upon graduation, a good number of graduates, and even some graduates who are yet to serve do not really know what this scheme is all about and how it operates. The NYSC serves as an opportunity for people from various cultures to mix and intermingle. Graduates who go for this service are posted to various states which are both geographically and culturally far from their state of origin. This affords good cultural intermingling as these Corp members are given the opportunity to learn and experience firsthand, how things are done in the part of the country they are posted to serve in. They interact with locals in the area and learn new cuisines, traditions, and ways of life and in some cases, even new languages. By so doing, these youths begin to appreciate life in other parts of the country and can form informed opinions on the various cultures. It also fosters countrywide unity. Once a graduate has been posted, he or she goes through a period of orientation wherein he or she stays at a camp controlled by the military for an estimated three weeks, separate from friends and family at home. Once this is over, a passing out ceremony is held and then the passing out Corp members are given their PPAs (Place of Primary Assignment). At the PPAs, the Corp members are mandated to work as full staff with a working day set aside for them to engage in service geared towards community development. Time at the PPA lasts for about 11 months after which, following a one-month vacation, a final passing out ceremony is held to acknowledge the successful completion of the service. At this ceremony, those passing out will receive their certificates of Completion. 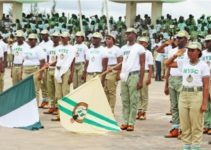 There are 36 states in the country, and while due to some internal issues, Corp members may not be posted there, the majority of the states in the country receive their fair share of graduates to serve out their NYSC year. 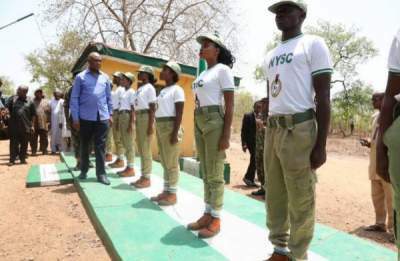 This article aims to look at the NYSC experience that can be expected from a time spent serving in Kwara state, in Nigeria, as well as the camp where the initial orientation phase, holds. Kwara state is located in the Western Part of Nigeria, within the North-Central geopolitical zone usually known as the “Middle Belt”. This region’s primary ethnic group is the Yoruba people although there is a significant number of people of other ethnicities in the state as well including Nupe, Bariba as well as Fulani. The NYSC Camp in Kwara state is located on Lafiagi-Share Road, Yikpata. People of Kwara: The people in this area are majorly Yoruba. However, there is a prominence of the Fulani people as well as one can expect to find a prevalence of Muslims in the state as well as cattle rearers as well. The Nupe are Baruba people are also of a significant number in the state. Buildings: The current state of the buildings in the camp is not of a high standard. Clay sand can be found all over as well as coarse stone, the combination of which can become very messy when it rains. Convenience rooms: The toilets at the Kwara state NYSC camp are mostly of the pit latrine variety and the rooms also serve as the bathing grounds. Because of how messy and off-putting this may be to some, it is not unusual to see Corp members bathing outside before dawn or late at night. Mobile toilets were recently introduced at the camp however and this has been a most welcome development. Food: When a woman served as the director of the Camp, the food served was manageable. However, recent reports indicate that with the introduction of a male successor, the quality of feeding has reduced to a state that is worthy of complaint. Discipline at Camp: Recent reports seem to indicate that the management of discipline at camp has dwindled and become lax. Whether or not this will continue in years to come, is yet to be seen. Camp Weather: Those who come in late during the year will usually be welcomed by a harsh and cold weather as though the good Lord were attempting to prepare them for life abroad during winter. However, it is survivable with some conscious precautions and should not be a deterrent. Those who come around the middle of the year will usually meet the rainy season which comes along with messy surroundings, stagnant water, and of course, mosquitoes. A mosquito net is highly advised to fight against this. Those who arrive first around February will find a new meaning to the term “Heat”. Corp members will usually experience various treatments at the different local governments they are posted to. The state has 16 local government areas. Some of the most vital ones along with expected experience will be listed below. 1.) Ilorin-West, East, and South: This city is not as big as the other LGAs and is developed with good roads and other facilities one can expect in a Nigerian city. Corp members find communication easier as many of the students can communicate in English unlike those from the rural areas. Housing, however, is more expensive and surprisingly, the water situation is not very good. 2.) Edu: This is the largest LGA in the state. It is a rural area with mud houses and underdeveloped roads. One can hardly find a school which pays Corp members in this area. Most corp members stay at the corper’s lodge and are usually besieged with gifts by the happy villagers helping them save money. The indigenes also happily provide other services like washing and cooking amongst others. 3.) Ifelodun I: Corp members here are not to expect payment from the local government. It is slightly more developed than in other local government areas, and there are some cheap self-contain accommodations available. Students here speak Yoruba as a primarily English and may not be necessarily serious with academics. Indigenes have been reported to commonly beg Corp members for money and the schools here hardly pay and if at all, do not pay more than N3,000. Modern toilets are not common in this area but one can enjoy a quiet undisturbed service year here. 4.) Ifelodun II: This is an extension of the proceeding LGA and is just like it as well. It is, however, less developed and the toilet situation is even worse as bushes are the main means of convenience. 5.) Moro and Oyun: These LGAs are close to Ilorin city and one can enjoy the proximity to the developed city as well as the relative quiet of the rural area. 6.) Patigi: The people here speak Nupe as their primary language and are known to be very caring towards Corp members as well as protective of them. It is fairly developed with modern buildings, roads, and other infrastructure. There are also places to hang out and have fun in this LGA. 7.) Baruten: The Baruba language is commonly spoken here and this LGA is known to share borders with the Benin Republic. There are available lodges for Corp members and the locals usually help them out with menial jobs and various services. Owing to the fact that the state does not pay Corp members, it is not exactly a favorite among would be Corp members, however, those who do come here, based on the lifestyle they lead, can enjoy their stay and gain some of the benefits intended by the mandatory one-year service.